PLANNING TO PURCHASE A PROPERTY? Conduct due diligence on both, the seller and the property before signing the documents. Verify the details of the property at the Abu Dhabi Municipality. Consult a property or real estate lawyer to review the paperwork and advise you on the structure of your transaction. Make sure that the property is free of any debts and is not any form of collateral. Visit a property lawyer and understand the rights and obligations of the parties in case of a renovation and maintenance of leasehold properties. Check whether the property is prone to any environmental hazards. Confirm the applicability of value-added tax (VAT) in the transaction involving the property. The math is lucid and co-related. A higher number of expatriates flooding into the region leads to a linear rise in the demand for property (for leasehold and freehold). But this demand for the property does not only refer to residential units. The number of commercial towers in the Emirate of Abu Dhabi has increased over the past decade, thanks to the investor-friendly regulations and dynamic corporate culture. The Abu Dhabi Government established the UPC or the Urban Planning Council of Abu Dhabi with the sole perspective of strategizing a plan for the Emirate of Abu Dhabi in line with Vision 2030. The ADGM or Abu Dhabi Global Market came into existence in 2013 as premier and international financial center that would supply and meet the requirements of the stemming investors in the financial sector of the UAE. Therefore, the ADGM was a financial free zone that houses its dedicated courts and legal framework to back up its international clientele. Over this short span of time, the ADGM has become renowned in the region due to their high-end infrastructure and more over the English law system. Since its inception, this financial free zone was working towards establishing themselves as the dominant free zone in the region with a dedicated dispute resolution regime and jurisdictional override. The ADGM has their own civil and commercial laws that apply to entities and transactions within the free zone, outlined by the English common law system. In this real estate guide, our property lawyers in Abu Dhabi aim to outline and elucidate the provisions of the (the New Law) novel Law Number 3 of 2015 regarding the Regulation of Real Estate in the Emirate of Abu Dhabi and the rules governing real estate transactions and laws in the ADGM. The lawmakers of Abu Dhabi had enforced the new law, in line with the existing property laws in Dubai, to attract foreign investors and real estate investments into the Emirate. This New Law has touched all the major issues surrounding the real estate sector in Abu Dhabi (including, property registration, purchase, and sale of off-plan properties, licensing of parties in the real estate sector, mortgages and likewise. STA Law Firms is one of the leading law firms in the region with two (2) offices in the Emirate of Abu Dhabi. Our team of real estate lawyers in Abu Dhabi allocates proportionate and appropriate time into researching the background of the real estate and property market and status of real estate developers and brokers as a ground for due diligence reports. At STA, we render legal advice that is timely, practical and individually tailored to meet specific requirements of the clients. Similar to the Dubai Land Department (the DLD) in functionality, THE Abu Dhabi Land Department (the LRD) is the central regulatory authority that overlooks the real estate sector of the Emirate. Although it has an uncanny similarity to the DLD in functionality, the Abu Dhabi Municipality is responsible for recording and registering real estate transactions in the Emirate of Abu Dhabi. Expatriates or entities which do not fall under the categories above. 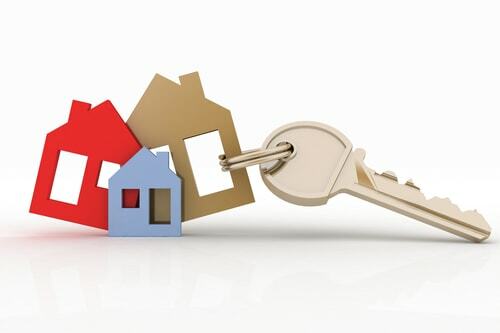 Discrete owner: This kind of ownership is most popular method amongst expatriates wherein, the individual purchases and register the property under his name. 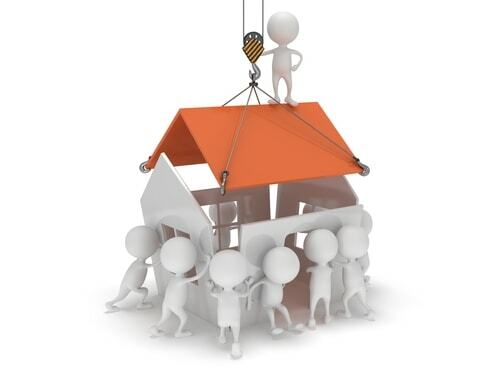 Cooperative Ownership: This permits two or more individuals to hold the property jointly. Under this arrangement, the property will be registered under the name of all the owners with their specific position in the title deed. Note: According to the Law Number 49 of 2018, the fees for the registration of sales and purchase will be decided by the executive committee mentioned under this law. The fees to be paid for a registration is between a minimum of 1% to a maximum of 4% of the transaction value. The relevant authority has the discretion to decide according to the value of the relevant purchase. However, the maximum fees capped at AED 1,000,000 for each transaction. The parties must share the fees equally between them unless otherwise, they agreed differently. The Abu Dhabi Global Market, an international financial free zone, has laid down its distinct rules and regulations pertaining to ownership of real estate within ADGM, which includes property regulations and strata regulations. The rules regulations of ADGM is only applicable to the properties situates on Al Maryah Island. ADGM permits UAE or GCC nations and corporations wholly owned by the concerned nationals to possess the land, apartments, floors or even units within the jurisdiction of ADGM on a freehold premise. In any case, considering the New Law, non-UAE nationals, individual or corporate entities, are restricted to freehold property in ADGM of land as it is reserved for UAE and GCC nationals. As aforementioned, expatriates (individual or company) are free to own title by acquiring floors or units in a specific building in ADGM. Additionally, ADGM perceives the joint ownership wherein, at least two (2) proprietors can claim the ownership of land. To read this Guide further, please click here.